Man, this E3 so far has had it all-- "megaton" announcements of games you'd never expect to happen in a million years, cool reveals, great new IP, and glorious console zealot meltdowns, both positive and negative. None of the big three's conferences/showings really disappointed me, so I'd say it has been a terrific E3 thus far! Let's do a special Tuesday edition of SuperPhillip Central's Favorite VGMs! I didn't want to post it yesterday because it would have been lost under all of the news coming out of E3. I think it's much safer to post my weekly listen to awesome video game music this evening instead. It's a special occasion because this edition we're hitting the 900th VGM volume! It's unprecedented how much VGM goodness we've had over the years, and I have no inclinations of stopping any time soon! How can you want to when my VGMs keep delivering awesome themes, whether intense, exciting, uptempo, mellow, sad, emotional, astounding, or whatever else. This week's lineup of games includes music from the iOS-only Rockman X Over, shake things up with an orchestral choir-centric final boss theme from Pandora's Tower, return to the Blue Bomber with Mega Man 3, settle it in battle with Street Fighter IV, and explore space with Mario in Super Mario Galaxy! Before we begin, be sure to check out the VGM Database for all VGM volumes posted thus far. Now, without further ado, let's get to the music, yo! This go around we kick things off with Rockman X Over, an iOS-exclusive and, I believe, Japan-exclusive game. 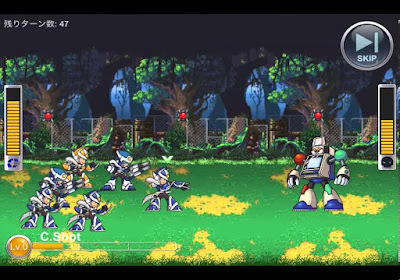 It doesn't play anything like the classic Mega Man X games, and it wasn't too highly received. That said, that won't stop me from including this excellent hard rock theme for Arcade Man. Sure, you'd think of 8-bit sounds permeating from a boss named Arcade Man, but I'm no composer or anything. What do I know? No worries, friends, there are no spoilers to be found here with my Pandora's Tower VGM selection. Well, that is unless hearing the final boss theme of the game is a spoiler to you, then don't click on that link!! Pandora's Tower was a really enjoyable game, harmed by the North American version containing a game-breaking bug. Though avoidable, it was still quite easy to come across and mighty annoying when it happened! Move over, X, classic Mega Man has returned to SuperPhillip Central's Favorite VGMs! 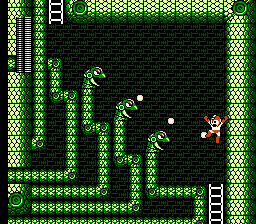 From Mega Man 3 comes Snake Man's catchy theme. There's something totally endearing about the classic 8-bit themes from the Mega Man collection of six games that still resonates with gamers to this day. Speaking of which, the upcoming Mega Man Legacy Collection will contain these six NES classics with some bonus content. While not as fulfilling a compendium as it would be to have all ten Mega Man games, it's still great to see Capcom giving attention to the Blue Bomber. We can't seem to get away from Capcom with this edition of the old VGMs, can we? That's okay, though, as with Capcom you usually are guaranteed some great music. 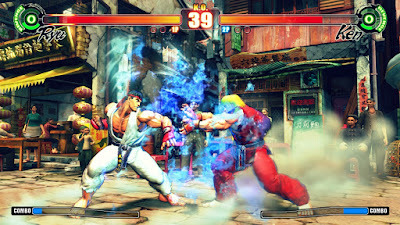 That is at least the case with Street Fighter IV's soundtrack. At Sony's E3 press conference, a new look at Street Fighter V was shared with fans and the media. It looks mighty fantastic, even with my lack of any fighting game skills. That's saying something if the game still appeals to me despite totally blowing at those games! A magical and mysterious theme comes from our 900th video game music volume. It's Super Mario Galaxy's Stardust Road, played during the Space Junk Galaxy, an early-ish galaxy within the game. With it, it's just a space, a bunch of floating debris, and a plumber with his own thoughts. Thank goodness this theme won't take Mario's attention away from the objective at hand!